With the FlexOne Professional, we introduce another flexible LED strip which has been developed and produced in Germany. The FlexOne Professional outstrips its peers in terms of flexibility and is a technically very high-quality product. It represents an extension of the LumiFlex family and thus expands the range of applications enormously. The FlexOne Professional is available in color temperatures of 2700K and 4000K as standard and 6500K on demand*. 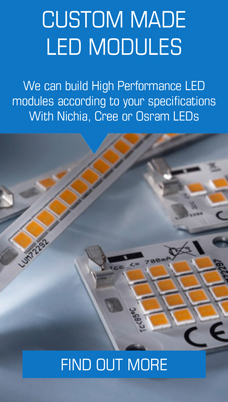 The divisibility after every LED (every 10mm) increases the possible applications considerably. The FlexOne can optimally adapts itself to the application intended for it, to always deliver uniform, smooth light. Due to the advanced circuit design the current is kept constant for all LEDs over the entire FlexOne strip length. With one connection at the start, the last LED is still as bright as the first LED on the strip! Additionally, the circuit design makes high LED destiny and therefore high flux possible, the FlexOne having an phenomenal light output of 13,000 lumens for 5 meters. This is a very important difference compared with other flexible LED strips without current regulation, where the LED current decreases with increasing strip length because of voltage loss in the long circuit. For other flexible LED strips of similar brightness this is compensated by adding additional feed-in points at every 1 or 2 meters adding to installation complexity and cost. Absolutely reliable in terms of brightness and versatile design possibilities, it is also equipped with a double-sided adhesive tape on the back, which sticks strongly on many surfaces. 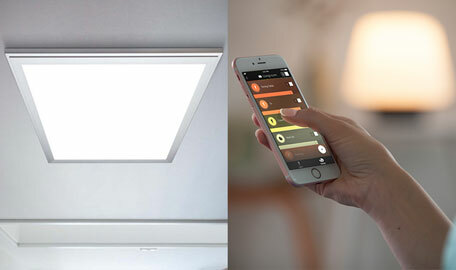 This allows easy and convenient installation and makes the FlexOne Professional an unrivaled all-rounder when it comes to individual lighting solutions.